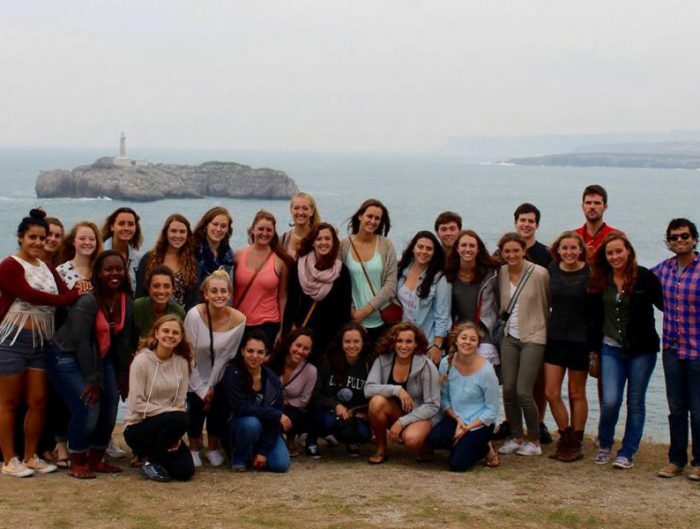 Colleen Dunne from University of South Carolina studying abroad in Alicante, Spain. 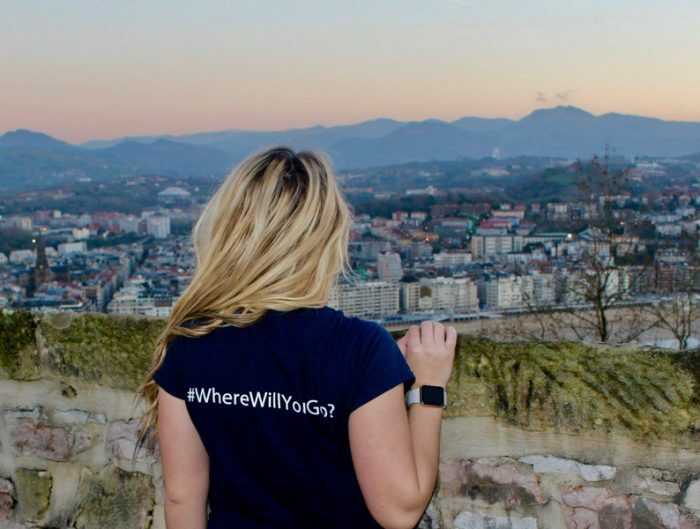 For each city that we visited on the Morocco Tour, USAC arranged a culture activity that allowed us to come away with knowledge that we would not have acquired by simply sightseeing or conversing with locals in the street. Without a doubt, my favorite was the one that took place at the American Legation in Tangier. The American Legation was the United States’ first possession outside U.S. territory and for 140 years it served as the U.S. consulate in Morocco. 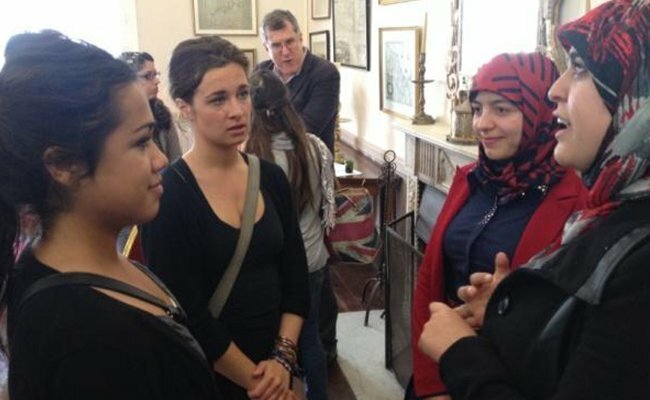 The tour of the American Legation alone was impressive, as we were presented with information about American-Moroccan relations and how the two cultures have influenced each other in contemporary history. Still, what was most memorable was the roundtable—a facilitated discussion and open exchange of ideas—led by Fullbright scholar Kahina Haynes. 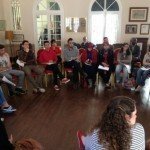 Ms. Haynes is currently collaborating with the King Fahd School of Translation in Tangier and brought several of her students to the American Legation to participate in the discussion with us. Among them were Achraf Eddagouri, Ibtissam Chahbouni, Naoufal Baouch, Mchicho Sara, Hajar Tarhnchi, Latifa Haboula, and Reda Ed-Daoumi. I was particularly excited when Ms. Haynes announced that she was about to facilitate a roundtable discussion as I have participated in and facilitated roundtables in several psychology courses at my home university. The topics we covered included racism and discrimination in the 21st century, immigration and multiculturalism, and islamophobia. 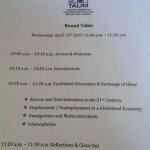 We started with the question: Is racism present in the 21st century? 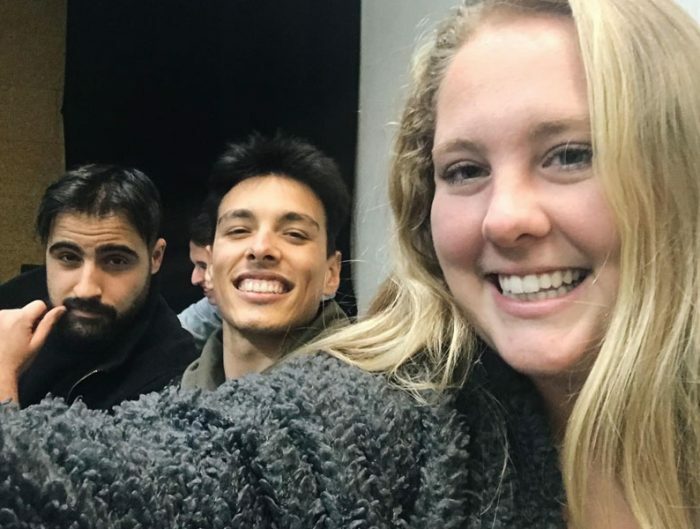 A number of American and Moroccan students contributed their opinions and personal anecdotes, yielding the general consensus that yes, racism is still very much alive. Continuing on the topic of prejudice and discrimination, we started talking about immigration in Morocco, specifically attitudes toward southern Moroccans moving to the north of the country and Sub-Saharan Africans settling in Morocco. 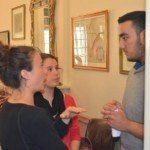 I particularly enjoyed this part of the discussion, because I had been completely unaware of these issues in Morocco, but the participating Moroccan students confirmed that southern Moroccans often feel discriminated against in the north, and that Sub-Saharans frequently experience discrimination throughout the country. This transitioned into an impassioned dialogue about islamophobia, which was especially relevant for a group of Moroccan and American students. I, among other Americans, confirmed that islamophobia is very real and quite intense in the United States, an unfortunate phenomenon that we believe is largely due to fear instilled by the manipulative media, but also a lack of religious education. One American student, Mary Daughhetee, shared a troubling anecdote about direct discrimination she has experienced as a Muslim in the United States. The Moroccan students responded with surprise and concern, explaining that Islam is a religion that promotes love, peace, openness, and understanding, not hate or violence. A few students suggested that Islam is misunderstood throughout the world because it has often been radically—and “incorrectly”—interpreted by those in power. It was suggested that politicians, especially, tend to misconstrue the tenants of Islam with some selfish ulterior motive in mind, and that for this reason Islam should be left out of politics. 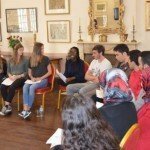 This sparked a somewhat heated debate about the separation versus integration of religion and State, with some expressing their belief that governments should be completely secular, while others believe that Islam belongs in every aspect of life and therefore should play an integral role in government. Although we found ourselves with clashing views on a highly sensitive and controversial topic, the discussion remained peaceful and respectful. To conclude, Ms. Haynes posed the question: How can we bring about change? We discussed the importance of education in confronting prejudice and preventing discrimination. I shared my evolutionary perspective on prejudice, which suggests that prejudice is inherent in human nature because it once served a biological purpose—protection from the possibly dangerous “other”—but that we can learn not to discriminate based on these prejudices through interaction and education. 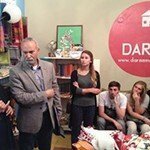 We also mentioned the importance of using the media as a tool rather than a weapon. We reached the conclusion that if the purveyors of our media were better educated in terms of culture and psychology, we could realistically bring about positive change in the coming decades. 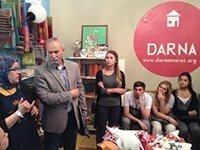 After the roundtable with the local Moroccan students, we went all together to DARNA (our home), which is an NGO organization that serves as a community house for women in risk of exclusion. 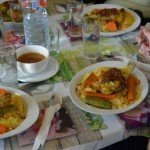 We had a guided visit of the place and had their traditional couscous for lunch. The conversation with the Moroccan students continued during lunch!